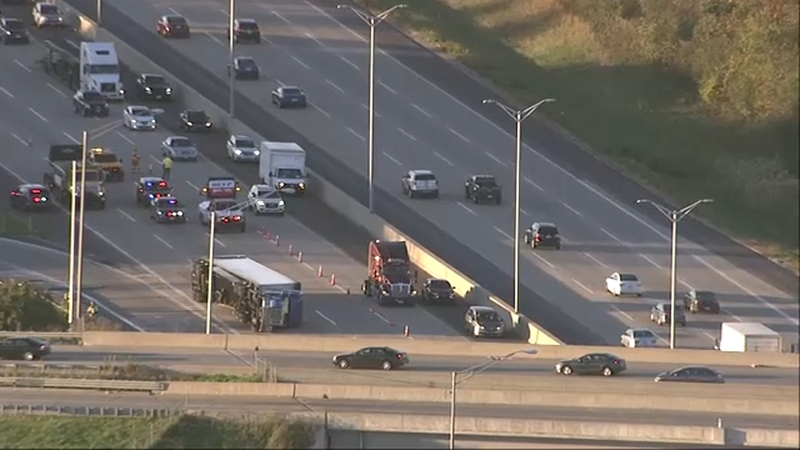 GURNEE, Ill. (WLS) -- The eastbound lanes of I-94 in Gurnee reopened Tuesday evening after a semi rolled over after coming off the Route 120 exit ramp earlier in the afternoon. Illinois State Tollway Police said the semi was carrying corrosive materials. The driver of the truck was not injured.